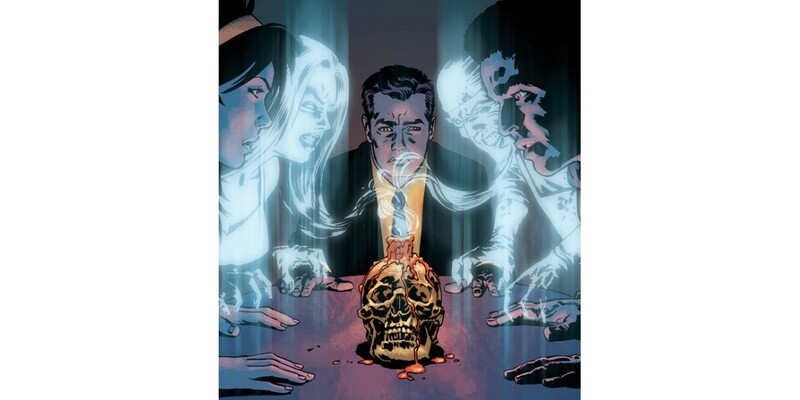 GHOSTED #3, written by Joshua Williamson and drawn by Goran Sudzuka, has sold out at the distributor level. This is the third straight sell-out for this hit new series and GHOSTED #3 will be reprinted to meet demand in October. "This is by far Sudzuka’s best artwork to date. He’s the kind of guy you dream about drawing your comic because he gets every last panel right." "Ghosted is quickly becoming one of my favorite series. It's a fantastic concept that has really been delivering the past few months. Writer Joshua Williamson has a great book here, and with the combine creative talents of Goran and Miroslav, this is a book that everyone should be reading. It's different, in the best way possible. Overall, I highly recommend this book and this series." "Williamson and Sudzuka’s Ghosted succeeds by taking a couple of very familiar (and pretty in vogue) genres and mixing them up. There’s a little bit of horror, a little bit of Hoax Hunters paranormal procedural structure going on, and a whole lot of heist movie flair to tie it all together. With a balanced cast of characters and a pacing that never stays in one place for too long, Ghosted freshens up a bunch of things that we’ve seen in plenty of comics before." The second printing of GHOSTED #3 can be pre-ordered now (Diamond Code AUG138198) and will be in stores on 10/16. GHOSTED #4 arrives in stores on 10/9.